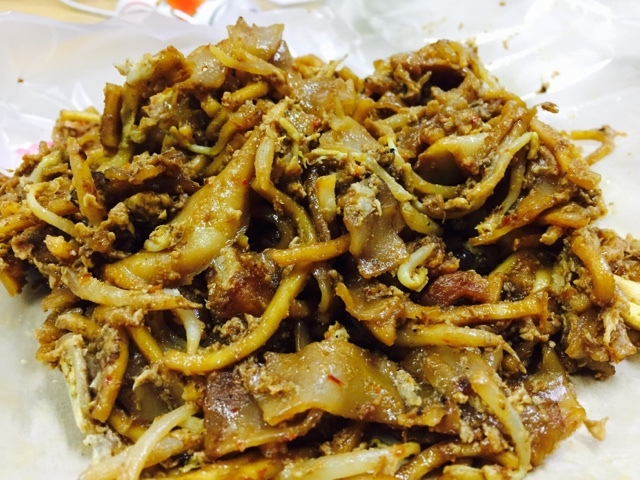 Outram Park Fried Kway Teow - Is it worth queuing? Listed in the Singapore Michelin Guide 2016, is Outram Park Fried Kway Teow Mee worth the wait? The stall was founded by Mr Ng's father at Metropole Cinema in Tanjong Pagar in the the 1950s. 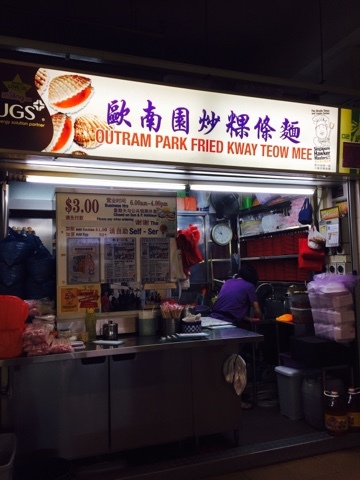 The stall was renamed after their tenure at the second outlet in Outram Park. Mr Ng helped his father since it was founded and officially took over more than a decade ago. I had the opportunity to try the popular Fried Kway Teow. Arrived at 9.30am, I was very lucky. There was no one at the stall as it was between breakfast and lunch. I ordered myself a packet of noodles with an additional egg at $0.50. The portion of kway teow (flat rice noodles) has beansprouts, fried pork lard and egg. Although I was neutral towards the fried pork lard, it was surprisingly delicious. They had a very nice fragrance and not oily. The sauce was evenly distributed among the noodles. I could not determine if it was worth the wait. It was because I bought it to go and the moist sauce would have absorbed by the noodles. Overall, it was delicious but I expected it to be better. I will find another time again to try it onsite.